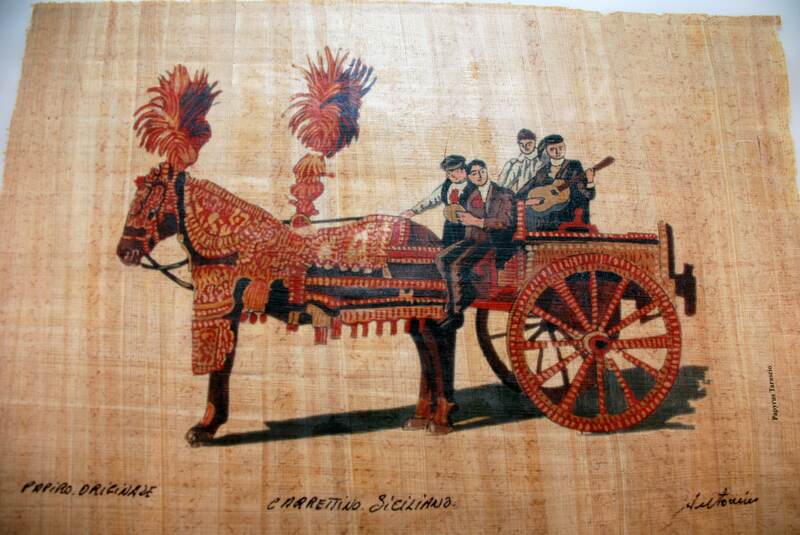 Traditional Sicilian Papyrus "Sicilian Chariot"
Each piece from A Putia du Re is 100% handmade. 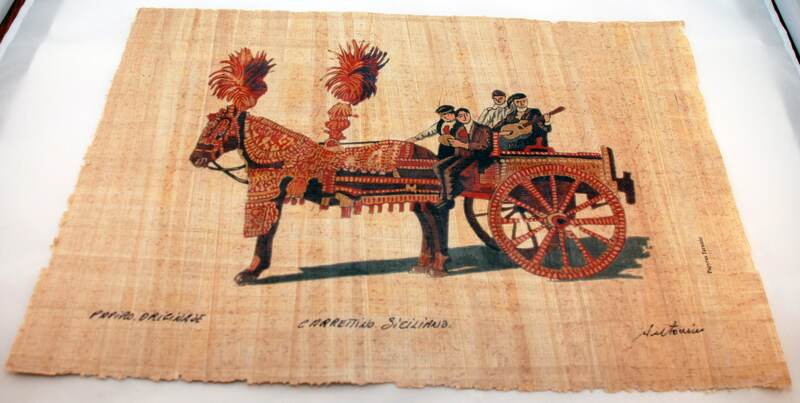 This Papyrus paper was made in Syracuse, Sicily; every single sheet is signed by the artist. The one in this list depicts the traditional Sicilian Chariot dressing for the village festa. Papyrus paper was made and used in Sicily since the Greek time, about first millennium BCE. It is great to make a frame and hang it in your living room, bedroom, dining room or office. This is one of a kind item, impossible to reproduce exactly as it is. It comes in five sizes: 24 in x 16.5 in; 16.5 in x 11.5 in; 11.6 in x 8 in; 8.25 in x 6 in; 6 in x 4 in. This papyrus is nicely done, very pretty. It will be decorating a travel journal for a trip to Sicily. It couldn’t be more perfect!